A lot of people don't. 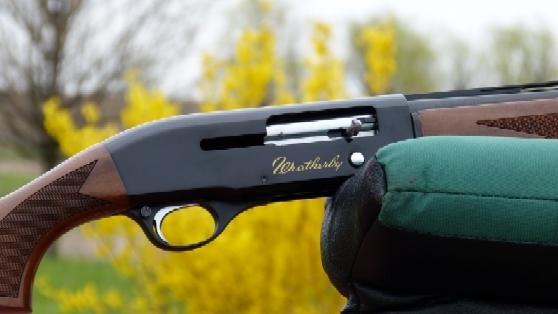 As a matter of fact, the most popular shotgun action in the United States has long been a pump. That hasn't changed one bit over the years, in fact its margin has increased steadily. Side by side models grow scarcer every year; although there is a lot of talk about O/Us, the most popular O/U in history, the Browning Citori, finally sold one million back in 2010. In the past few years, autoloading shotguns have hit new levels of higher prices, if not discernible quality. It isn't hard to find an autoloader, made of more plastic than anything else, that retails for $1800, $1900, $2000, or more. Whether they meet the vacuous notion of worth it is not the issue for a lot of folks; it is just isn't what they are willing to pay. Nevertheless, there remains a lot of junk out there that would be overpriced as far as I'm concerned even if it was free. Here are some of the better choices in autoloaders that you can have for under a thousand dollars. Sometimes much less than a thousand dollars, contingent on configuration, yet I believe you can have a lot of fun with them. They are listed in no particular order. Actually one of the more recently introduced autoloaders in the grand scheme of things, it is available in dozens of configurations from home defense, tactical, waterfowl, turkey, and slug models. Of conventional gas-operated design, it is a well-thought out autoloader with an excellent track record and has special appeal to those who prefer a tang-mounted safety. Made by Benelli, it is a reliable, just all-around excellent inertia style autoloader that fits into the familiar name but reasonable price category. Extremely low maintenance is part of its appeal. Of the three tested examples so far, all had excellent triggers. The recoil pad is a non-standard notched array, as you can see, so aftermarket pads aren't readily available or usable. Though not commonly categorized as value-priced shotguns, with the various promotions that are close to perpetual (tax rebate, free ammo, etc.) both of these gas-operated shotguns from parent company Herstal Group are more affordable than you might think. With more attention being paid to the flagship Maxus and A5 models, the standard three inch SX3 Black Shadow and Field Models are available at under the thousand dollar threshold. In fact, the Black Shadow has a full boat MSRP of $999.99 and you can find them for substantially less. Using the same basic action as released on the Browning Gold 20 years ago, it is the most enduring of the models listed here. Expect a review of the 2013 SX3 Field in the near future. 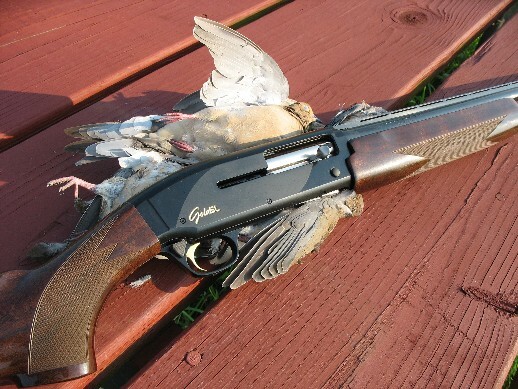 A recent release from Beretta, mostly assembled in the U.S. (?) from sourced parts, it seems to be one of the most hiccup-free releases under the Beretta brand in some time. Though clearly intended to be cheap to make and affordable, Beretta may well have screwed up a bit here and introduced their all-around best general-purpose autoloader. Expect a full review later this year for the wood model. There isn't a wondrously populated selection of affordable, desirable twenty gauge autoloaders out there, I'm sorry to say. There are four that you might want to consider, the recently reviewed Weatherby SA-08 (above), the twice-reviewed Franchi Affinity 20 Gauge, and again the Winchester SX3 / Browning Silver models that are at a bit higher price point, actually use the classic Browning Gold speed-loading action, and can be had under the thousand dollar mark. The fourth model that you might find of interest is the Franchi 48 AL: MSRP for the standard, satin walnut model is $899, street price perhaps a hundred dollars less. It is perhaps the original "superlight 20 auto," and if light weight is a one of the most important considerations for you, and you will shoot only 2-3/4 inch unfolded length twenty gauge shotshells, it fits both into the very pleasant to carry category and the sub-thousand dollar price point of this brief article. Both the Weatherby SA-08 Deluxe walnut and the Franchi Affinity are six pound guns as tested, while the Winchester / Browning gas guns are right at 6-1/2 lbs. or so. A 20 gauge Gold SuperLight is shown above, the 20 gauge action on SX3 and Silver models remains unchanged from the Gold. For more on twenty gauge comparisons, you might want to check http://randywakeman.com/20GaugeAutoloaderComparison.htm .